Let Flat Jesus be a reminder of the Real Jesus' real presence in every place we find ourselves! 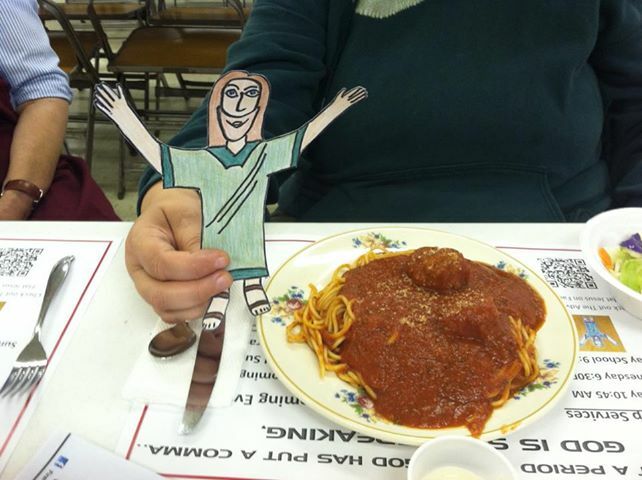 Join Flat Jesus as he travels with various adventurers! But you also can create a "Flat Jesus". Draw a picture of Jesus on stiff paper. You might want to have your parents help you laminate him or cover him with contact paper. Then take him with you as a reminder we take Jesus with us wherever we go. Take photographs of where Jesus has traveled. Make a photo album or have your parents help you post to Facebook.